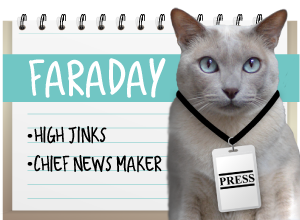 A Tonk's Tail... err, Tale...: Wednesday's Waif: Tinker! My name is Tinker and I am so thankful that you took the time to read a little more about me! I am a female red, brown, white torbie that is declawed on my front paws. I am a very affectionate and curious lady who has appetite for life! One of the first things you may notice about me is the fact that my hunger for life also goes for food...."
"I am a lady that has a heart as big as my stomach. I will always be there to listen to you, help you when you are feeling down, and a make a good day a GREAT day. 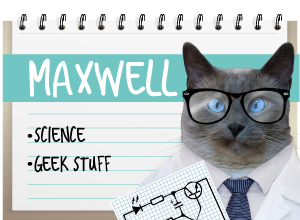 My felineality is leader of the band; which means that I do everything in a BIG way! You will find me leading the parade, not following behind. I am also very affectionate, and I will love snuggling with you. I will always be there right next to you whether we are doing chores around the house, or just having a quite night on the couch. I will always make sure you know how much you mean to me with my amazing head butts, hand rubs, and my one of kind meows, and purrs! Along with my tons of affection I have to give I also enjoy playtime. When I play I sometimes forget that I am a larger kitty and if there are small dogs in the home I can be a little to much for them. In my previous home I did live with small dogs and they would sometimes be a little afraid of me when I wanted to play. 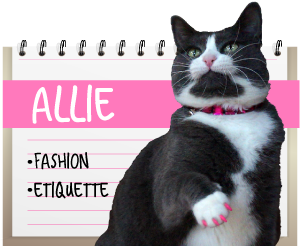 I am a large and in charge feline! I came to Wayside because my previous person, who loved me so very much, was a little worried that I was not getting the attention that I deserve, so they did the most kind, brave thing they could and brought me here to Wayside so I could find my new forever home. I am hoping that home will be with you! I would love to meet you, so please come down. I know that we will go together like cake and ice cream! Come meet Tinker in the fur, at Wayside Waifs! Tinker, you are a hoot! 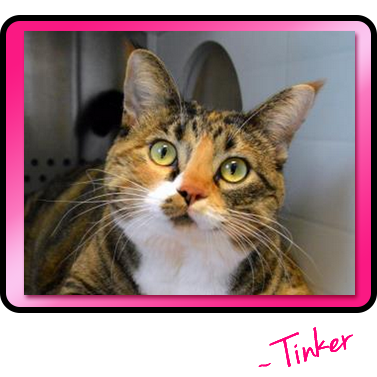 Tinker, you look like you're going to make someone a wonderful companion... and conversation partner! We hope they find you and take you to your forever home soon. We hope little waif Tinker finds a forever home asap and that you will have a wonderful life. Oh, Tinker, it's a good thing Mom doesn't live back in Kansas City because she would adopt you for sure! You are gorgeous! tinker....de best oh wednesday whitefishes two ewe ya finds yur for evers home !!! ewe IZ a grate conversay shunalist !! !